← Surviving Our Disasters, Miscalculations and Misadventures! Now is the time to invest in the Watkinize Your Home Assortment! The Watkinize Your Home Assortment (Assortment) is a special collection of products offered by Watkins at a significant discount. Each Watkins Associate is permitted to purchase the Assortment one time during their Watkins career. Not only is this Assortment offered at a special value by Watkins to associates, but it also comes with extra incentives for members of the Summit Group. 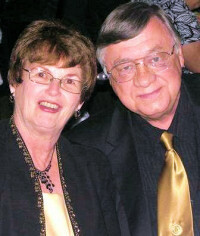 The Summit Group incentives are provided by Steve and Ginny Bretzke, founders of the Summit Group. Also, the purchase of the Watkinize Your Home Assortment is the major qualification for eligibility in the Watkins Bonus Program. Purchase the Assortment and enroll in the Loyalty Program and you are qualified to earn a $100.00 bonus every time one of your first level (personally sponsored) team members invests in the Watkinize Your Home Assortment. That is how you start earning $100.00 bonuses in our exciting Watkins Bonus Program. It is a very wise decision to purchase the Watkinize Your Home Assortment. This one-time investment demonstrates that you are serious about building a successful Watkins Business. When you sponsor new Associates be certain to share with them the great value of the Watkinize Your Home Assortment. Let them know that you have purchased the Assortment. Your example will encourage them to do the same. Any time is a great time to purchase your Watkinize Your Home Assortment and to share with family, friends and neighbors. Of course, the purpose of the Assortment is to provide you with a broad array of products (at a great discount) that will help you get in the habit of personally using the products. Also, personal knowledge of the products prepares you to offer your own testimonials about the value of the products. These testimonials can be priceless! You may share this remarkable collection of products with others as gifts or give selected items to prospects to introduce them to our wonderful Watkins Products. Of course, if you are operating on a tight budget you can Retail the products and recover your investment in the Assortment and also make a profit. However, we strongly recommend that you personally use most of the products in the Assortment. Fran and I had been in Watkins several years when the Watkinize Your Home Assortment was introduced. When we invested in the Assortment we committed to consuming most of the products personally. As ardent users of Watkins products we thought that we had tried and tested most of the products that would be of interest to us. But surprise – surprise! When our Assortment package arrived we started using the products and discovered six items that we had never purchased or used. Several of those products are now on our “favorites” list. You can have a lot of fun when you receive your Assortment. Invite family and friends to participate in the opening of the package. Make it a real party – a fun activity. Unpackage the products out one-at-a-time. Talk about each one. You will get some really neat reactions. Some guests may share experiences and stories that they remember about the various products. This activity generates a lot of excitement and interest. We have had people start to act like a bunch of kids around the Christmas tree opening gifts on Christmas morning. It is a great time to develop Customers and share the Business Opportunity! Most of all – make it FUN! Also, if you get a folks together to open your Assortment let them know about the great value of the Summit Group and the dynamic role it plays in your Watkins business development. Tell them about the valuable incentive bonuses that you received from the Summit Group when you purchased your Watkinize Your Home Assortment. * 50+ Products: You’ll have 50+ products with a retail value of $500 US and ($665 CN). You’ll get these products at a specially discounted price of $349.00 US and $449.00 CN plus Shipping & Handling and Tax. Incentives from the Summit Group (Offered by Steve and Ginny Bretzke). * 24 Bonus Training Programs as Downloadable Online Audio Files: Summit Group associates who purchase this Assortment will get a complete set of “Best of Watkins Training” featuring training tips, motivation and strategies taught by acclaimed leaders within Watkins and the network distribution industry. The collection of training programs is valued at $249 and you get it FREE as an audio file. (This offer is only available to Watkins Associates of the Summit Group). We encourage each and every associate to order this Assortment. Even if you are on a tight budget, it may still make sense to order this very special offer. You’ll get all the benefits listed above. And, it’s perfectly okay if you choose to sell some or all of the products from the assortment at the regular retail price, to recover some or all of your investment. So you see, it really does make sense for everyone to invest in the Watkinize Your Home Assortment.